Public Transit in Ottawa: The Confederation Line: Can it really be happening? The Confederation Line: Can it really be happening? Things actually seem to be moving along quite well for Ottawa's light-rail transit system, now officially christened The Confederation Line. 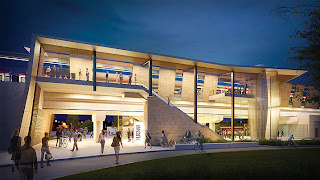 The Rideau Transit Group was recommended as the project team for the construction of the 12.5 km light-rail line, and yesterday the city released a huge presentation and unveiled the latest station designs. If you haven't seen them yet, you should definitely go look now at ottawalightrail.ca. They're truly amazing. From a personal perspective, this marks a milestone moment for me. Leading up to this point, I've tried to hold back my enthusiasm for the project--past experiences with similar projects had likely left many in Ottawa cynical about the prospect of this highly ambitious, $2.1B mega-project actually moving forward. 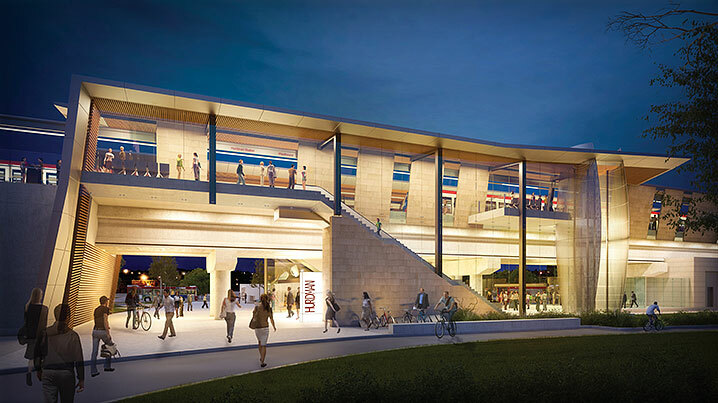 But now, upon seeing these designs, reading up on the project team, and looking at the recommendation in detail, I'm finally going to allow myself to get excited about light-rail in Ottawa. There are certainly flaws in the project, and I wouldn't dare suggest that everything is perfect. There also remain many unanswered questions about Phase 1 as well as the implementation of future phases. And considering how late in the process the O-Train extension project was cancelled, there's still a possibility (however slight) that this thing could go sideways. But for now, I'm going to stick with optimism and excitement and see what happens. Ah, I didn't think that such a big announcement would go unnoticed by Public Transit in Ottawa. Good to see some action on this site; it has been too long. I, too, am optimistic, but reservedly so. I have seen very few changes made by the Consortia except for ones that reduce the cost of construction. Like you, I see several things that I think could be future problems that have not been addressed. This project needs to live up to the hype to be successful from day-one. If it is not, then future rail lines will be an even harder sell to Council and the public. Also, I was hoping that the "maximum flexibility" that Staff told Council they were giving the bidders would have resulted in a more innovative design; not just a cheaper version of the concept from Staff. Not having a landmark station at the Old Train Station/conference centre is such a massive mistake.